A military veteran, Gregoire de Gaulle is the photographer being put in the spotlight in this exhibition. 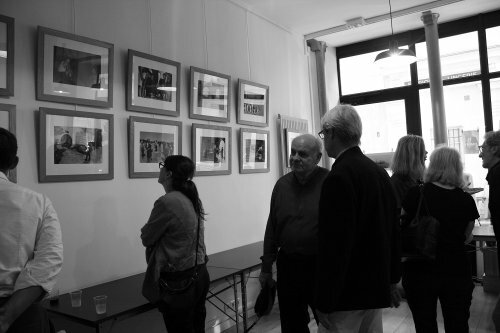 Located at “Remix Coworking” which I found was a very nice place to exhibit ones work, the photographs focus on de Gaulle’s second trip to China. I found his work very amusing, capturing all his photos in black and white; the photographs array the Chinese in what seems to be their everyday life. One of the best pieces in my opinion is one I saw with two little kids studying outside, trying to learn English on a table. When talking to de Gaulle about his inspiration for this project, he said that his second trip to China, 39 years later, was eye-opening to the fact that he wanted to capture the difference in commerce, how they dressed, and what they drove. I definitely recommend this exposition to anyone that likes photography, because I found it fantastic. Not only did I find this exhibition fanciful, but one should go as well because this year is the fiftieth anniversary celebration of China and France’s diplomatic relations, so why not go in and show your support? 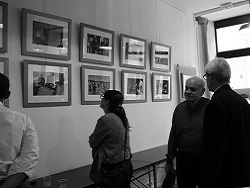 The exhibition is from now until July 12th, 2014.